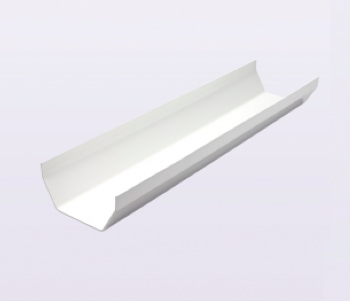 Kestrel plastic guttering, also known as PVC guttering, is low maintenance and comes in a wide variety of shapes, sizes and colours. The colour is often chosen to match or contrast with the UPVC fascia board fitted to the roofline. The size of the gutter needed will depend on the rainwater it is likely to carry. For example, a roof with a large surface area is going to have a large amount of rainwater flowing over it due to its large area. If the roof also has a steep pitch, for example as seen with churches and dormer bungalows, the water will flow down quickly. Where this is the case the Kayflow deep guttering is most suitable. In contrast; roof pitches of around 30 degrees and smaller surface areas will see rain fall deposited at a slower pace and a standard Kayflow half round, ogee or square gutter would be suitable. If you’re in any doubt please contact the Kestrel technical department on 01724 400454 who will be pleased to advise.